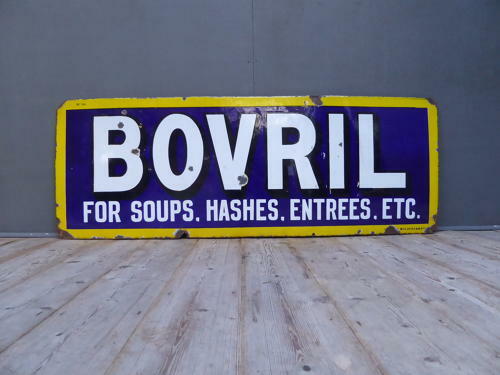 A fantastic, large vintage enamel advertising sign for Bovril. A stunning example, manufactured by Chromo of Wolverhampton & featuring some fantastic colours, a wonderful gloss & a very unusual 'Soups Hashes & Entrees' slogan. A wonderful sign, perfect for a kitchen cafe or restaurant!